Real or Fake? This video of black horse flying in Jeddah, Saudi Arabia gone viral online. 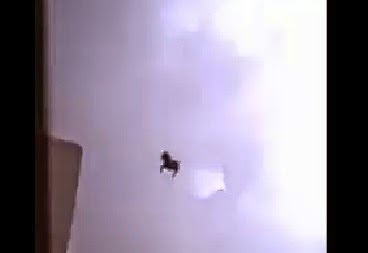 The video of the black horse who was said flying above the sky in Jeddah continue to surface online. UPDATES: The video now garnered more than 300,000 views since it was uploaded on November 26, 2014. It's up to you if you found the video real or it's just another fake one.